The issue of how the space in the Alnwick Playhouse will be shared if the venue becomes a community hub has now been resolved, according to the town champion. Alnwick’s town champion, Dave Campbell, who is designed to be a link between the town council and the county council on the latter’s Market Town Initiative and how council buildings are to be used, provided an update to members last week. 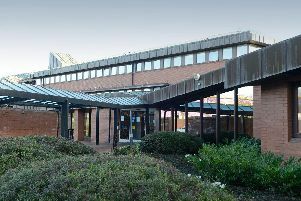 As reported by the Gazette, in April, an agreement in principle was reached between the county council, the Northumberland Theatre Company (NTC) and Alnwick District Playhouse Trust, meaning the proposals, which would see the theatre building also house a library, tourist information and front-office facilities, could move ahead. At last Thursday’s meeting, Mr Campbell told members that there has been agreement on a ‘workable space compromise’, although this is subject to final design feasibility. Elsewhere, the new depot at Lionheart, which will also house the fire station, is progressing to plan ahead of its scheduled completion in March next year. The refurbished Northumberland Hall has its first weddings booked, while the planning application for housing at Allerburn House has been submitted. The current library, on Green Batt, which is leased by the council, has been sold.